It doesn't matter how often you are knocked down. Success comes to those who get up and fight again. Asha Rao, aged 58, must have witnessed a few defeats but her passion for fabric and arts ensured that she constantly strived to regenerate her ideas. After completing her graduation in English literature in 1975, Rao worked as a teacher in Chennai for six years. 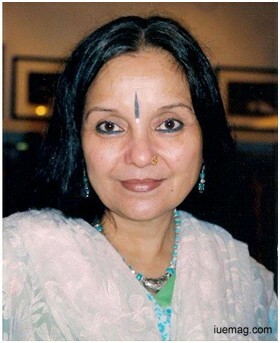 In 1982, she got married and shifted to Bangalore. The first Santé was held in September, 2010. Although this was only four years ago, the idea of a 'flea market' was very new to Bangalore then. The vision was to create a platform for creators of Indian art, craft and design to showcase their work. The hope was that hidden gems would be unearthed from homes and offices, from the nine-to-fivers, who moonlighted with jewellery wire and watercolours. "We were not disappointed," says Asha, the founder of Soul Santé. We opened the doors that day to 3000 people. We had 80 handpicked stalls, each presenting something new and unique, products that were born on that night. "All the soul santé team was so nervous like new parents waiting to see how this baby would float," recollects Asha. The night soared. Since then, 5 markets each year have been hosted. They are seasonal markets held between Octobers and May that draw strength from Bangalore's fabulous, music loving, aesthetically arrived crowds. This October, they kick off their fifth season and look forward to host 280 stalls and 18,000 visitors. "This journey has been tremendous: we have met the most amazingly talented women and men, many of whom, since we first met them, have gone on to start stores and solely promote their brands. We have seen the true beauty of art and craft in this country and we feel privileged to be able to showcase it," says Asha proudly. They have organized and stuffed the company with fresh designers who open minds with their fantastic new ideas. It has been tremendous for the Santé team to be a part of such a massive market with beautifully showcasing creativity stalls. "Staying true to the original idea of the Santé has been its mainstay," says Asha with yet another rocking Santé in sight. Any facts, figures or references stated here are made by the author & don't reflect the endorsement of iU at all times unless otherwise drafted by official staff at iU. This article was first published here on 1st September 2014.